Wonderful news from the Azevedo family. We are going to have a little bundle of joy around mid April. Gender to be announced in the weeks to come . . . 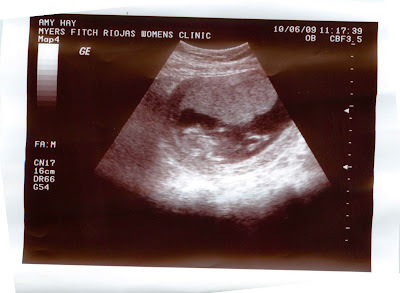 Here are the first and second bunch of ultra sound pics we have of our little one. 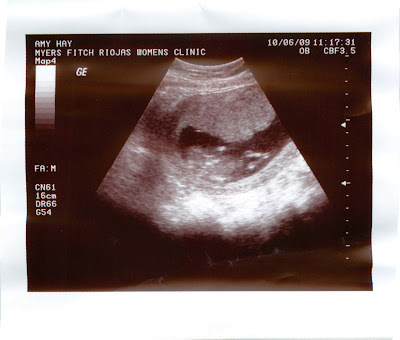 8 weeks - Our little one is hanging upside down like a bat. Very appropriate for Halloween. 8 weeks- Still upside down. 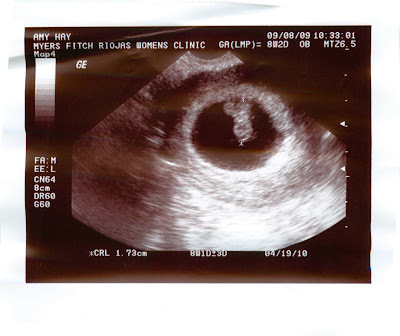 The little round object beside the baby is the yolk sac. 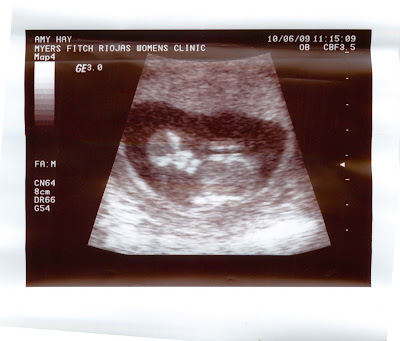 12 weeks - The placenta is at the top of the screen and our little one is laying on the bottom on their side. The head is at the left side of the screen. The arms are to the right at the top and bottom of the abdomen and at the far right the legs. 12 weeks - Same view as above. Just with a little more arm and leg movement. 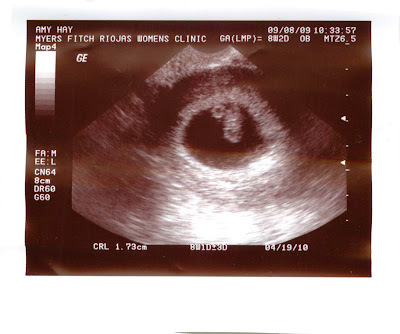 The official and fancy ultrasound will be in 3 more weeks. So more pics to come.